So since there is no topic about games, I'd like to create a list with working and not working games for the G300. Would you want to know what games work and dont work for the G300, just suggest some games, I will test them and then post the results here. ROM Testing these games on is CM9 (latest version). Pictures are clickable, when you click it you will be redirected to the Play Store page of the game. Get ES File Explorer and enable root explorer in settings go to root, system and back up build.prop and then open it with a text editor and change where you see Ascend G300 change it to Desire HD then reboot your device and you won't get any incompatibility errors with games anymore and you'll be able to play more games and see more games in the Play Store. I think its well needed what you are doing here so thank-you. I just think you need to add what version of ICS you have tested theses games on . Not just a widget, definitely on paid for games. Take Bard's Tale for example it certainly doesn't run lag free on all rom's and there's two different versions you are offered to download. Just a thought, so people are not disappointed when spending money. 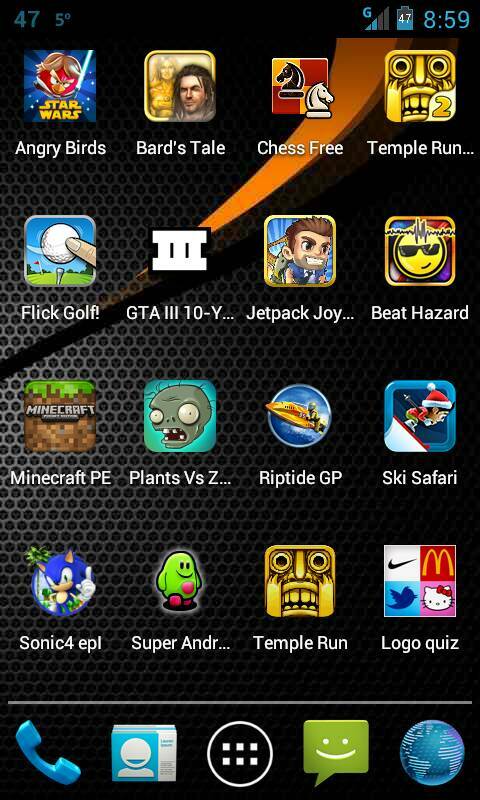 Ok, well I'm running all these games on CM9 which I believe to be the best ICS ROM out there, very stable and optimized and about the paid apps, I personally don't pay for them *just for testing purposes* but I would to later own them but this isn't just for me it's for other people to see what games run on this device. Oh and btw I added links to all pictures of the games, if you click on a picture of a game you'll be redirected to the page on google play store of the game then you'll see exactly what version I'm talking about a game. Temple run 2 is really glitchey for me! I uninsulated it, as it never responds to my touches, even though the phone vibrates to acknowledge that the screen has been touched! Ics isn`t for gaming, gb is much better! I installed CM10 not (10.1) now to see if the games work worse or better then on CM9. Also SUGGEST MORE GAMES TO TRY OUT OR ADD TO THIS LIST, whatever games you know work and don't work just say it! I played Radiant HD before too and can only agree, OpenTyrian also works well. All confirmed working on stock B952 and B960 ,over clocking helps on those lagging. Hill Climb Racing Works with no lag for me. I'm using CM9, and Jetpack Joyride doesn't lag at all. Temple Run 2 lags a little. Final Fantasy III and Dimensions, and Chaos Rings 1 working fine, smooth. Vector, it's playable, but does NOT run at normal speed. So it lags. Where's My Perry and Pudding Monsters are running fine aswell. Superbrothers: Sword & Sorcery, runs fine. Most Wanted is there, and can you please give me a link to the play store for pes 2012? just saw most wanted in that list.